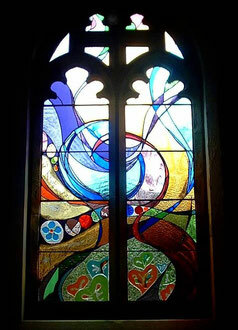 church windows - joannahedleys jimdo page! 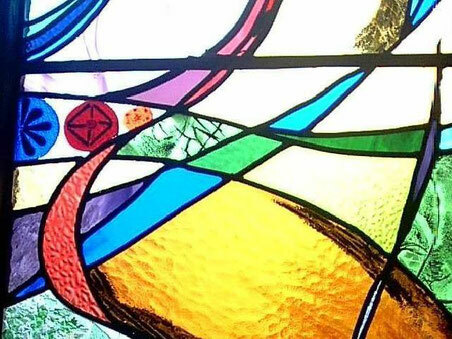 "Out of the darkness and into the light"
It is an abstract piece, I took symbolism from plants and fruits that represent the ressurection. 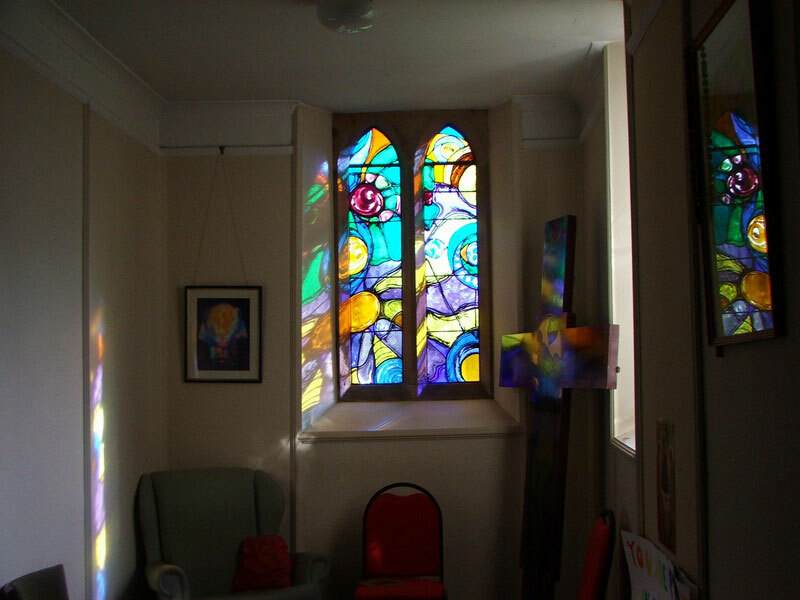 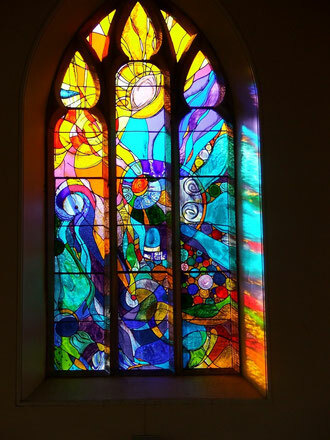 This window was one of my final pieces in my degree show, it uses colour and symbolism to help prepare the priest for the mass. Detail of the sacristy window above. 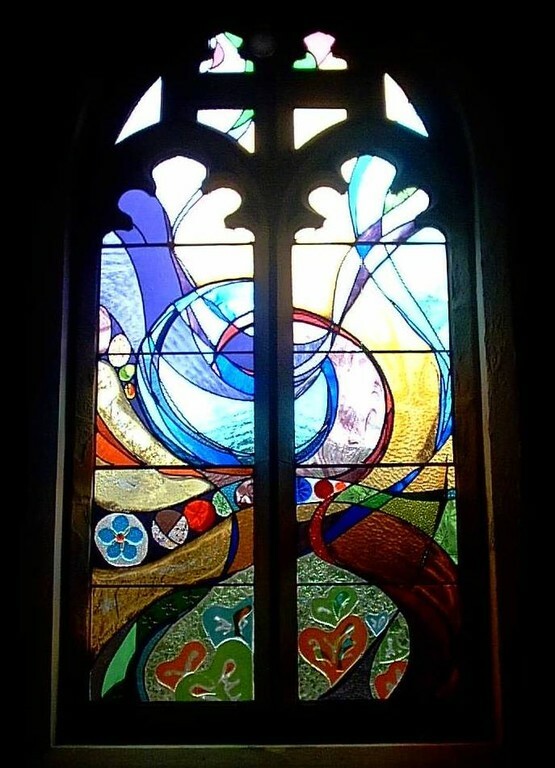 this is the first window that newly wed couples see as they leave the church when they've just been married, this window also uses the symbolism from plants and flowers that mean "love", in two connecting circles the blue represents the man and the pink the woman, the circles beneath represent the friends and family there to support them. 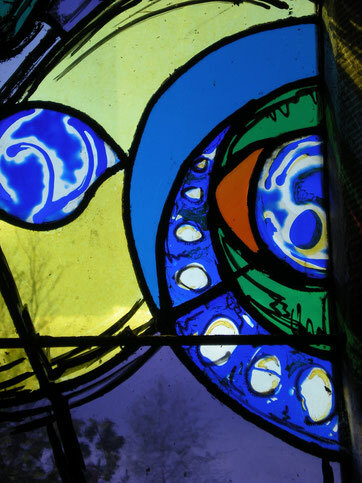 Detail of the marriage window above.